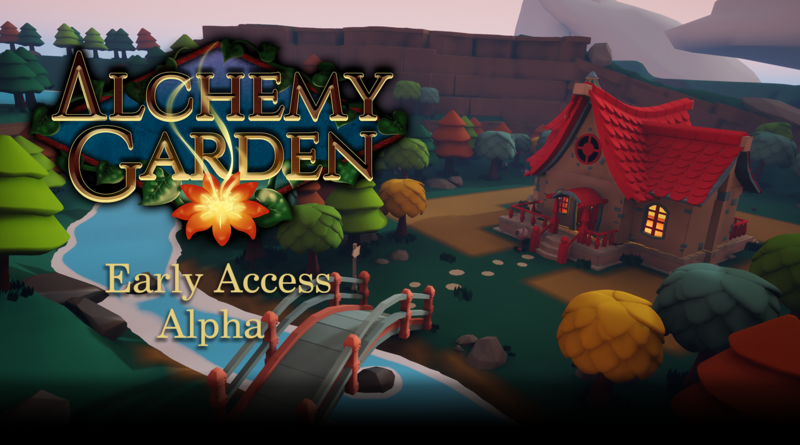 After a long time and big changes, the 1.0 Alpha version of Alchemy Garden is finally here! I am aware that I have not updated the game for a long time, (in this post I explain everything) but after a while we return with a lot of news! 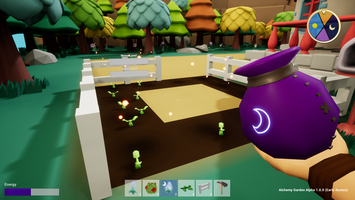 As you know, the development of Alchemy Garden was being through Unity. One of the reasons why I have taken so long to update the game has been because Alchemy Garden has been remade with Unreal Engine. 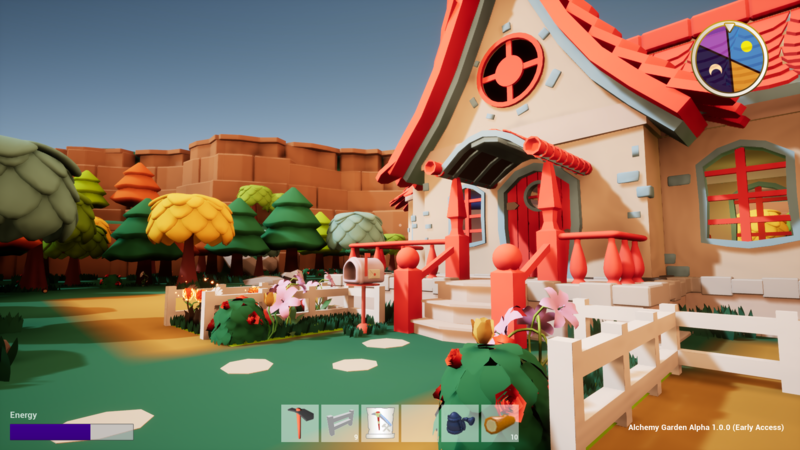 I have nothing against Unity, in fact I think it's a great engine, but when facing the project as a single-developer, the Unreal Engine Blueprint system attracted me a lot because I'm a designer, not a programmer. The Unreal Engine Blueprint system. I think the visual scripting is much more intuitive than writing code, but you have to know some basic notions of programming before you can use Blueprints, keep this in mind! 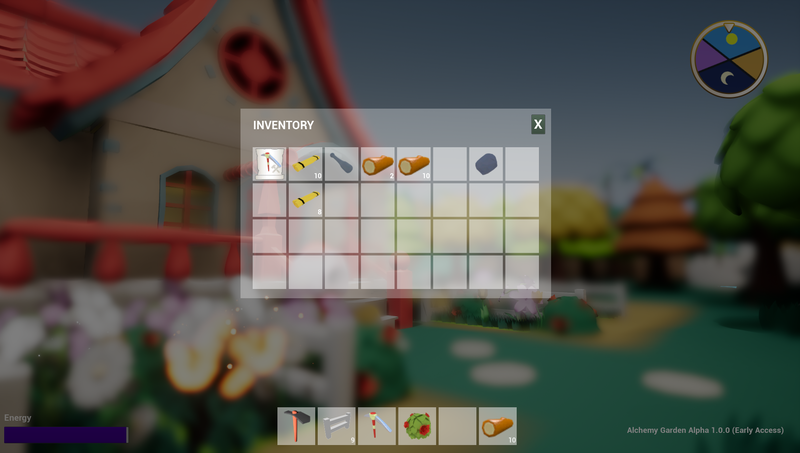 Many of you have asked for an inventory system. Originally I had not thought about including one, I want the players to use the house as inventory since I consider that immersion is key in this game. But the reality is that not having an inventory makes the game too tedious. So here it is! Now you can save and equip items you find in your inventory! 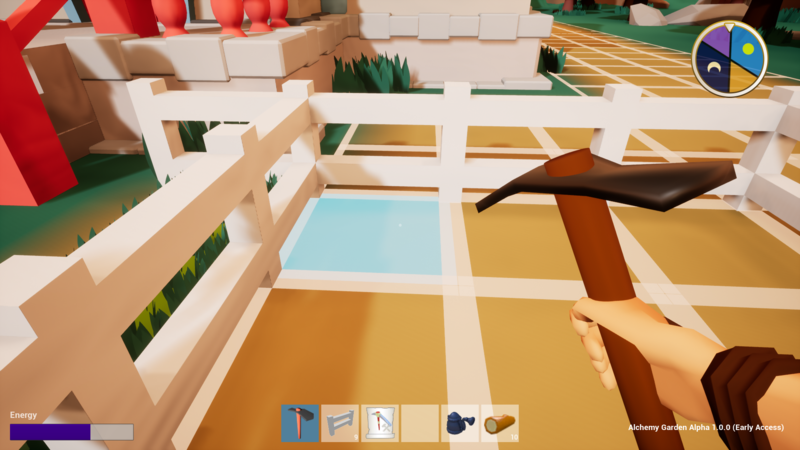 I have not had the time to make a good UX design for inventory, in future updates I will improve it I promise! Now you can decorate the house as you want. I think it's something that makes a lot of sense in this kind of games, in the end, the soul of Alchemy Garden is in creating your own space. 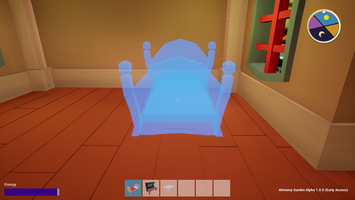 For this version are the basic furniture, in future updates will be added new furniture. In this version there are only the basic furniture, in future updates I will add new furniture and decorative accessories. The gardening has also been improved, now you can plant where you want around the house. In addition you can also place decorative objects and fences to define the areas as you want. 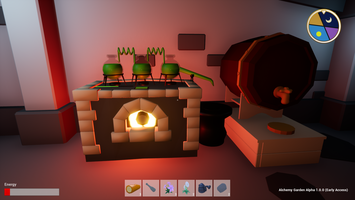 The alchemy system could not be less important than the rest, so it has also been improved. Now it consists of two parts: creation of potions and transmutation of seeds. 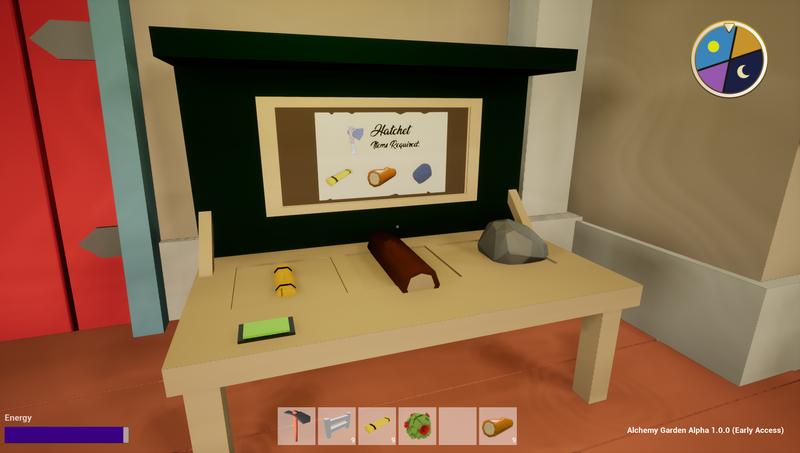 Now you can make your own objects on the workbench like pickaxes, fences, hoes... simply place the recipe on the front, and the ingredients on the bottom and you'll get the object! Little by little I will upload updates that will add more content, fixing game bugs and add new features. 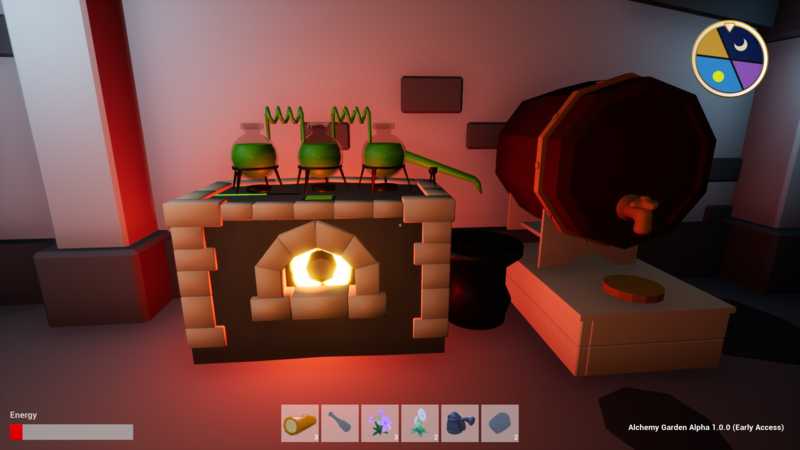 Although the game has reached its alpha phase, there is still a long way to go, I am very happy with how the game is going. 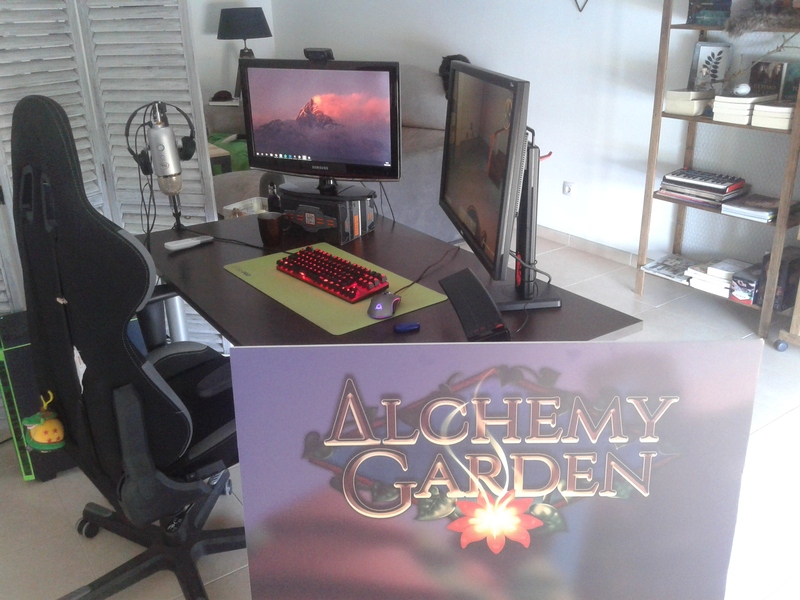 I hope to continue working with the same enthusiasm to bring you the best version of Alchemy Garden possible! The game is free again.